François de Mézeray was a 17th-century French historian most known for his ‘History of France’. 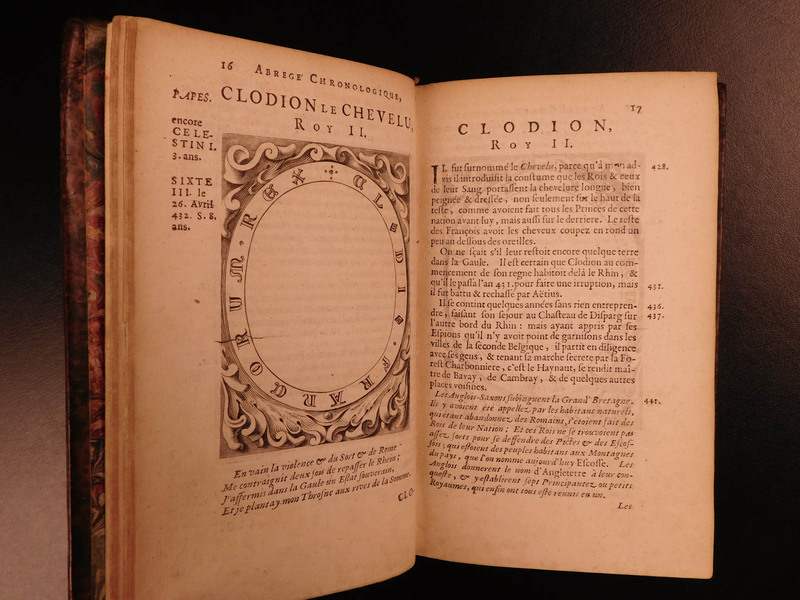 While many such historical works exist, Mézeray’s approach is a bit different in that he sought to collect and summarize existing French and Latin chronicles. This impressive work covers the historical period from the early 5th-century Clovis and the legends of Pharamond, to the 14th-century reign of Francis I. Other notable royals including Hugh Capet, Charles III, Clovis, and Pepin the Short. 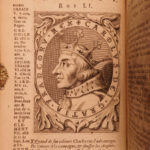 This 1682 edition of Mezeray’s famous work features numerous impressive portrait engravings of the French royals.